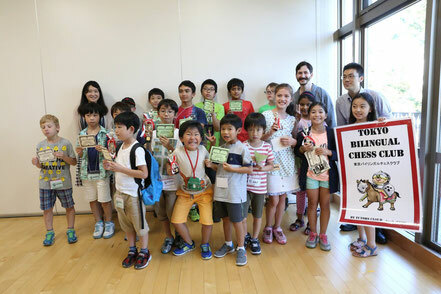 19 boys and girls from all around Tokyo turned out for the TBCC 5th Scholastic Chess Tournament this summer. Congratulations to all who attended! 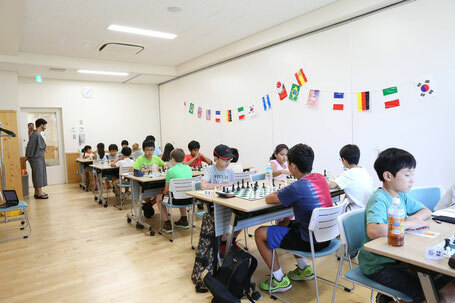 Due to the continuous effort of the Chess Club, TBCC has grown to be one of the strongest and most prominent youth tournaments in the central Tokyo. We had a player from France, Herve Guicherd, visiting us during his business trip and playing as a substitute player in Class A. Unfortunately, we missed welcoming a player from Spain, Sergio Valero, this time. Thanks Sergio for thinking of TBCC. Hope he had a wonderful sightseeing at Tokyo Tower. 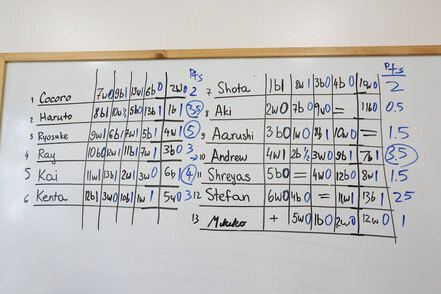 The five rounds went very quickly: kids were able to play all of their games, get awards, and get out the door before 5pm. 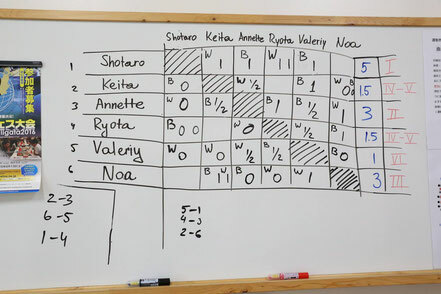 We’ll probably keep the section the same in Class B (15 min) and see if any feedback is given by players for the time control of Class A (15 min + 5 sec increment) for the next tournament. 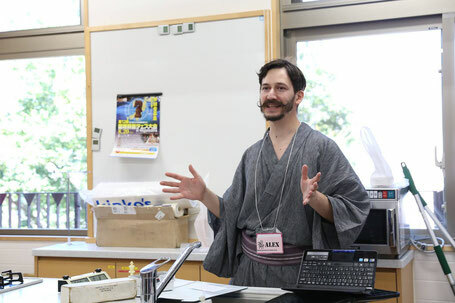 We would like to thank Alex Averbkuh, the tournament director, and Seiji Nakagawa, our very capable staff, for a beautifully run event and another wonderful experience. It is no wonder that the event just keeps growing. 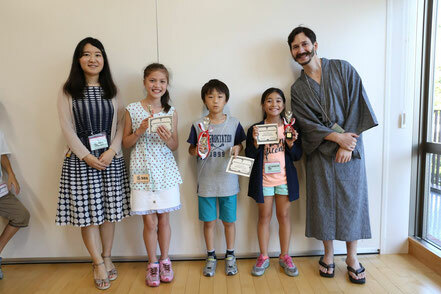 Coach Alex, a yukata (summer kimono)-clad dancer, has been heading to the Ebisu's Bon Odori Summer Festival, one of Tokyo's best festival, right after the tournament. Mirai Ishizuka, a female champion of Japan, attended the trophy presentation ceremony. 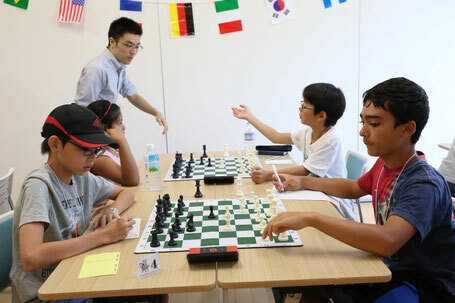 Mirai has donated chess books and chess sets for top winners to take home as a prize. Thank you! Again, our sincere thanks for your support, chess parents! See you in the next tournament this fall!